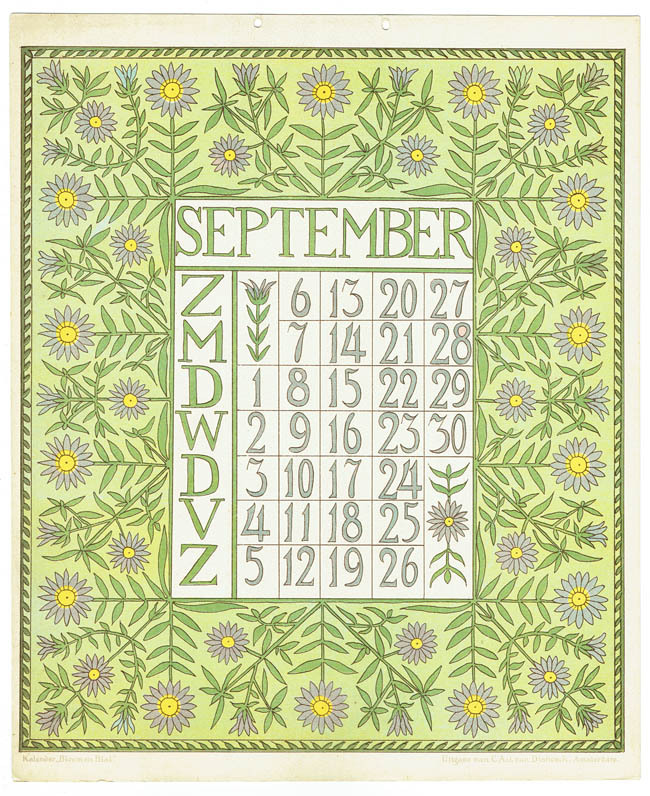 Artist Netty van der Waarden made 3 ‘Bloem en Blad’ (Flower and Leaf) calendars for the Dutch publishing house C.A.J. 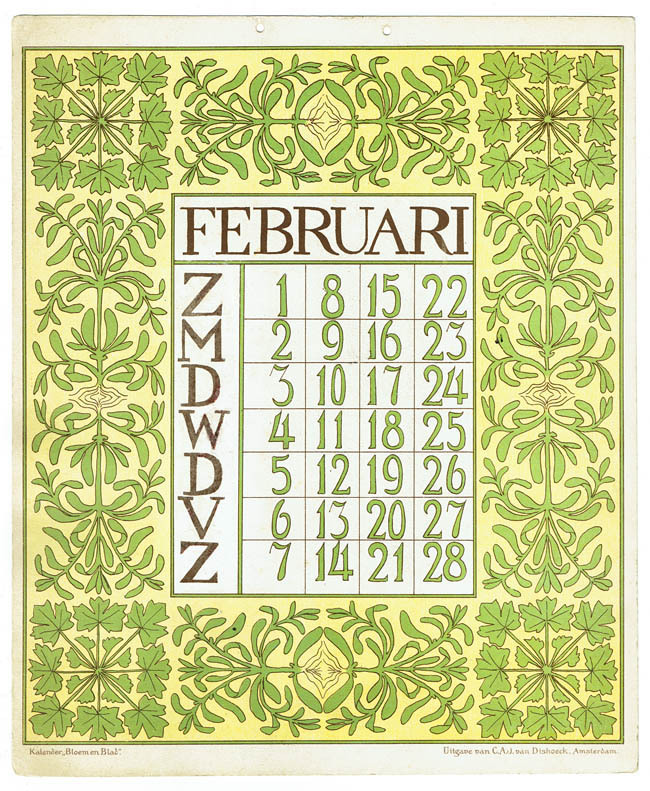 van Dishoeck. 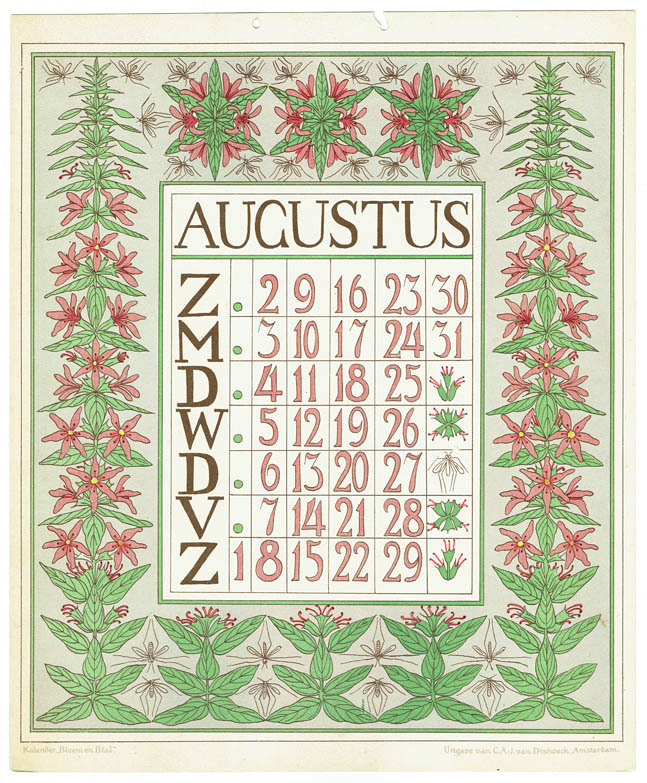 The calendar sheets shown in this message were designed for her third calendar for the year 1903. 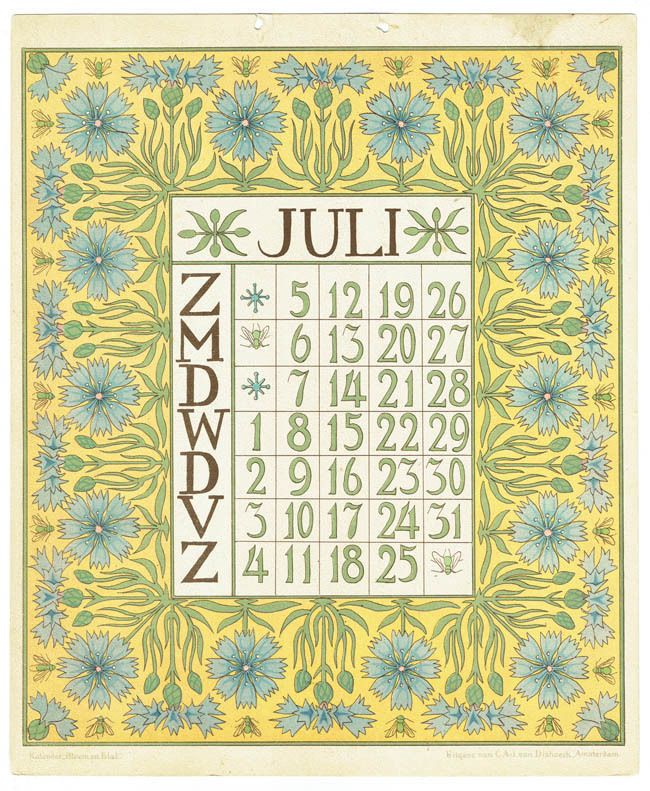 After that, her colleague Anna Sipkema designed the next 2 calendars. 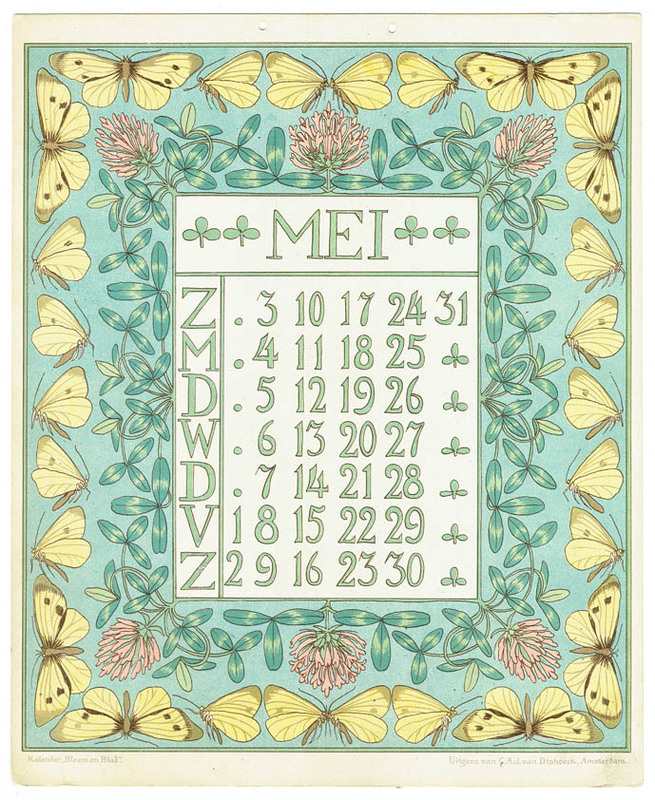 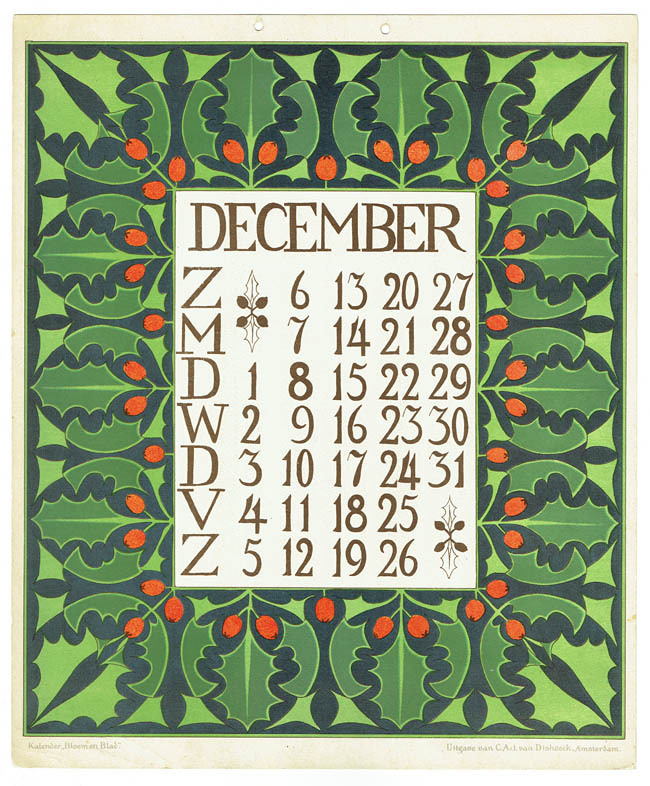 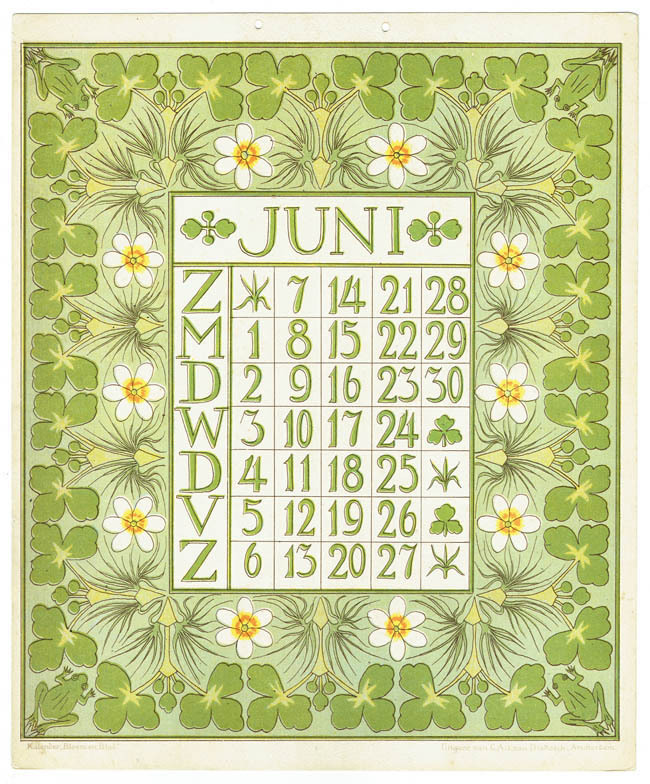 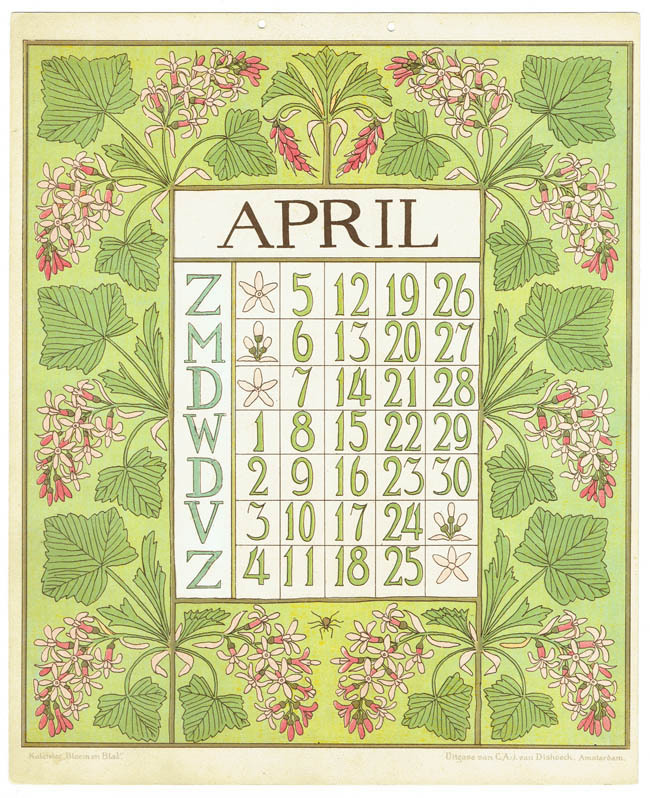 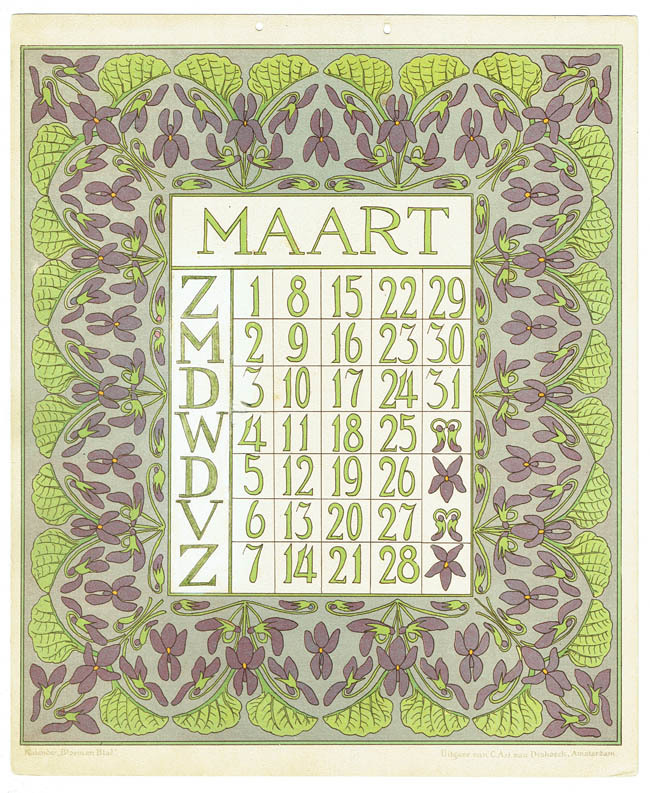 The calendar sheets of Van der Waarden are designed in the style of the Nieuwe Kunst (New Art), the Dutch variant of Art Nouveau. 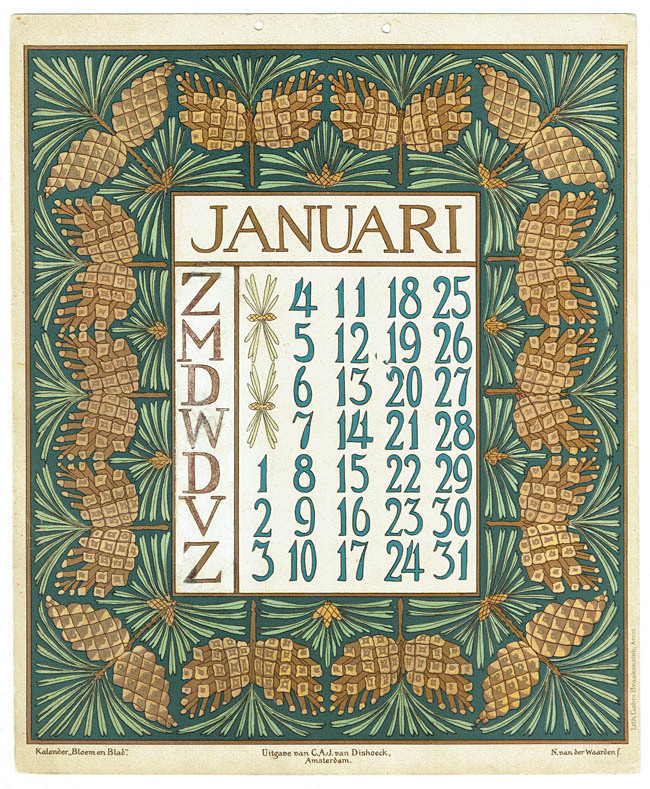 Typical for this Dutch style are the stylized natural motifs like flowers, animals and plants placed in a symmetrical composition. 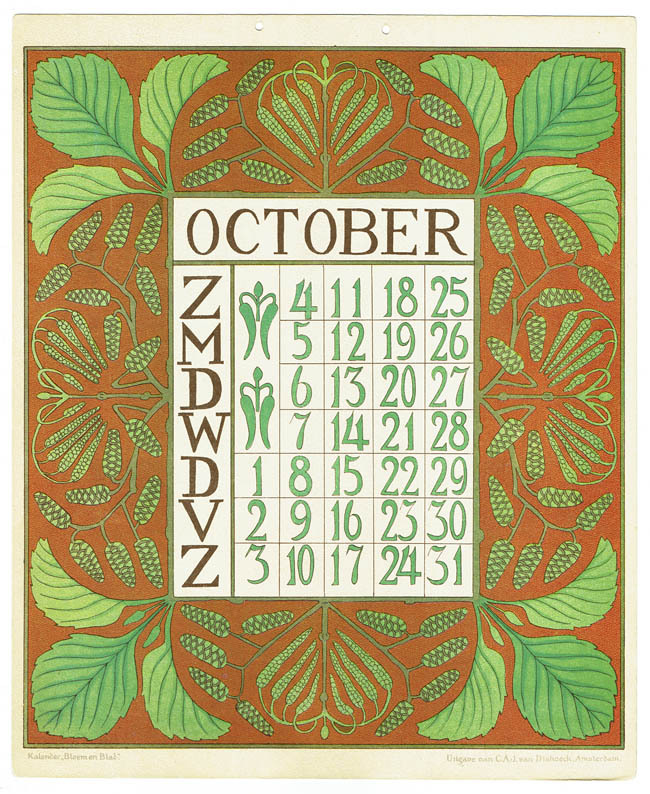 Instead of the sinuous lines of the Belgian and France Art Nouveau, most Dutch designers used a more austere and geometric ornamentation. 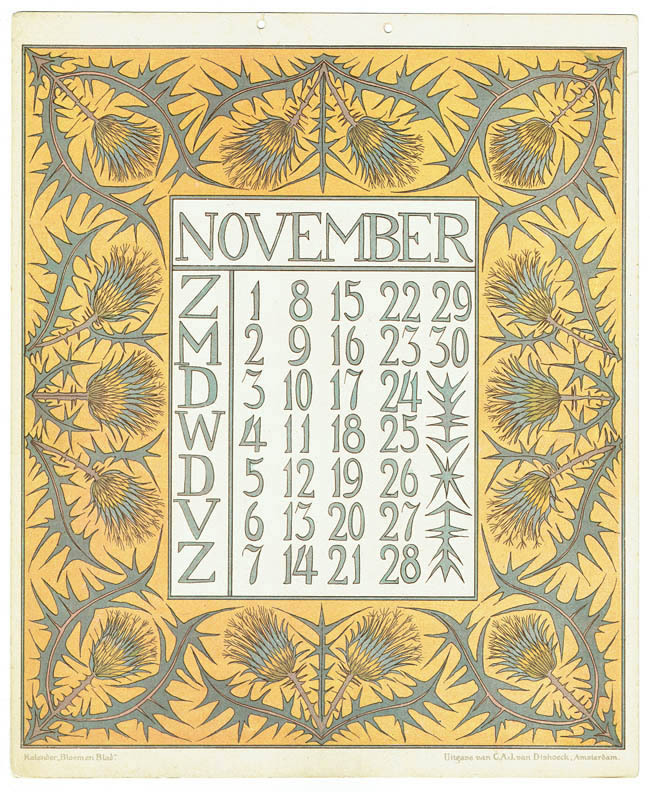 This systematic design approach was taught at the new schools for applied arts.